Mirza Abul Hassan Khan (1776-1845) was an Iranian envoy who came to England on diplomatic missions in 1809-10 and again in 1818, and was known as the Persian ambassador. Mirza Abul Hassan came to England in 1809 to secure the ratification of the Anglo-Persian treaty made between Sir Harford Jones and Qajar Shah, Fath Ali. This was the first time that the Persians had negotiated directly with the British rather than through the East India Company. During his visit, he was known as Mirza Abul Hassan without the ‘Khan’ – this was a title given to him later by the Shah. His official title was “Envoy Extraordinary and Minister Plenipotentiary” but he was known as the Persian ambassador and given the higher status of an ambassador rather than an envoy. His visit lasted from 29 November 1809 when he landed in Plymouth to 18 July 1810 when he set sail from Portsmouth. The King appointed Sir Gore Ouseley, who was fluent in Persian, to be his host. Sir Gore was later appointed Ambassador to the Shah of Iran. The Persian ambassador was easily offended if he felt he was not receiving enough respect as the Shah’s representative, and he became frustrated that it took so long to complete his diplomatic mission. In the meantime, the ambassador explored British culture, visiting the attractions of London and being entertained by her people. His visit provoked widespread interest and all things Persian became highly fashionable. Mirza Abul Hassan had his portrait painted by Sir William Beechey for the East India Company and again by Sir Thomas Lawrence (shown above). 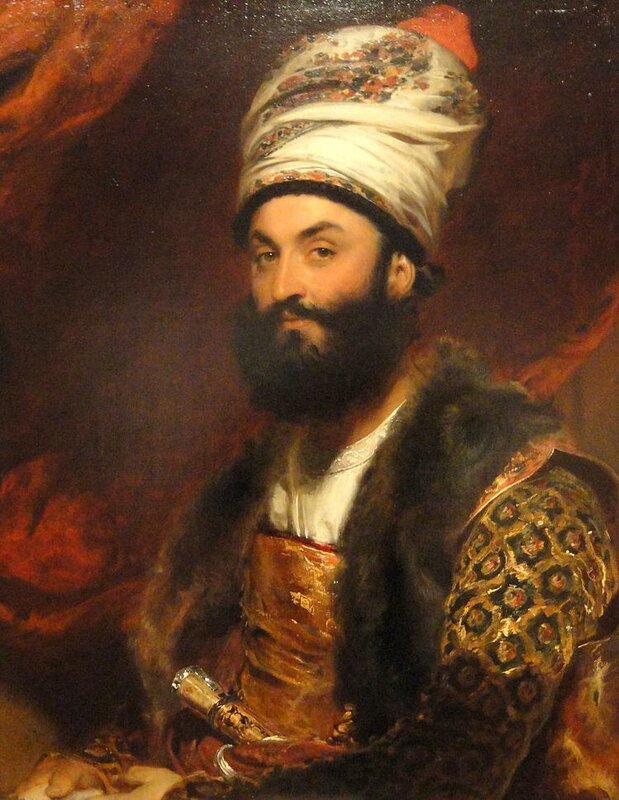 The Persian ambassador returned to England in 1818 in a failed attempt to gain British support against Russia. Mirza Abul Hassan kept a detailed journal of his visit which was known as The Book of Wonders. 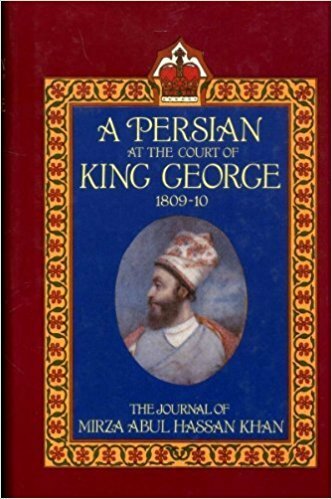 This journal has been translated and edited by Margaret Morris Cloake and published under the title A Persian at the Court of King George, 1809-10: The Journal of Mirza Abul Hassan Khan (1989). Because his culture was so different from that of the British, this journal included many details about customs and events that other contemporary accounts don’t think to include. The Persian ambassador was affronted when the King delayed receiving him at court. He was only pacified when he was assured that the King had been ill, and he was eventually received at court with great pomp and ceremony on 20 December 1809. On a later visit, he noted that a court official stood behind the King and announced each person’s name because the King’s eyesight was so weak. The Queen received the ambassador on 17 January 1810 and he wrote at length about his experience at court. 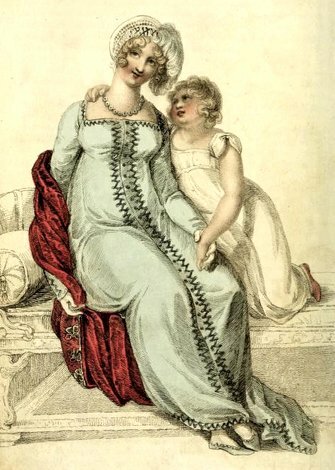 He was astounded at the extraordinary shape of the ladies’ court dresses which he described as being tightly fitted from waist to shoulders and then like full-blown tents from waist to toe. 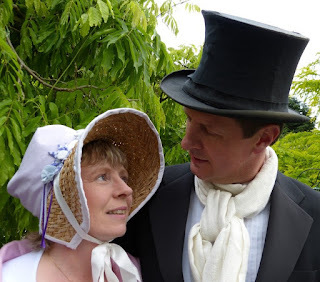 He also thought that the men’s clothes were immodest and unflattering, especially the trousers, which he thought were made to look like under-drawers. He wrote that he was told that young ladies were not presented to the Queen until they were 17 years of age and could not go out in society before that time. He also recorded that if a man had an illegitimate daughter, she could not go to court until she was married; if he had an illegitimate son, this son could not inherit his name or title. 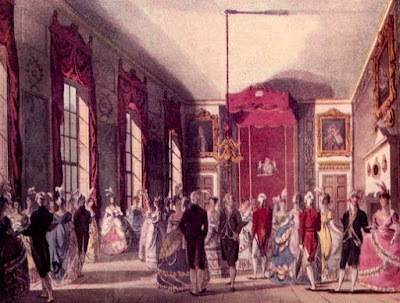 On 24 January 1810, the ambassador was invited to wait on the Prince of Wales at Carlton House, and on 3 February, the Prince gave an entertainment in the ambassador’s honour. The ambassador wrote that the Prince asked him whether he preferred thin women or fat, and agreed with him when he answered fat. He also wrote how he had complained that all the English women were put off by his hairy face. He dined with the Prince of Wales and other royal princes on 27 February. The Persian ambassador was introduced to the custom of leaving cards. He recorded that when ministers or councillors called on him, they left a card about the size of the palm of your hand at his door. He was told he should return these calls, leaving cards with his name on at the homes of the gentlemen who had called on him. One of the most fascinating sections in the ambassador’s journal is where he talks about the different types of gathering that were part of fashionable life in London. He wrote that invitation cards were given out with a date, time of arrival and time of departure on them. • A dinner lasts for four hours, from 6 pm to 10 pm. • A ball is a large gathering with musicians and lasts from 10 pm to 5 am in the morning. • A musical entertainment lasts for four hours from 10 pm to 2 am. The guests are invited to come and hear a famous musician or singer and the host persuades them to perform although everyone knows they are being paid to do so. • An assembly or rout lasts for six hours from 10 pm to 4 am and is simply a gathering. The ambassador thought this type of entertainment was completely pointless. • A breakfast is a morning meal. 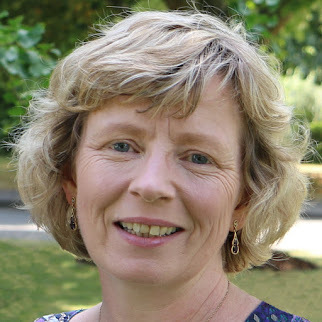 The ambassador thought that all parties should be held in the early hours of the morning as the calls of the nightwatchmen made it impossible to sleep. On Friday 16 March, the Persian ambassador returned the hospitality of his London acquaintances by holding a grand entertainment for some 500 people. 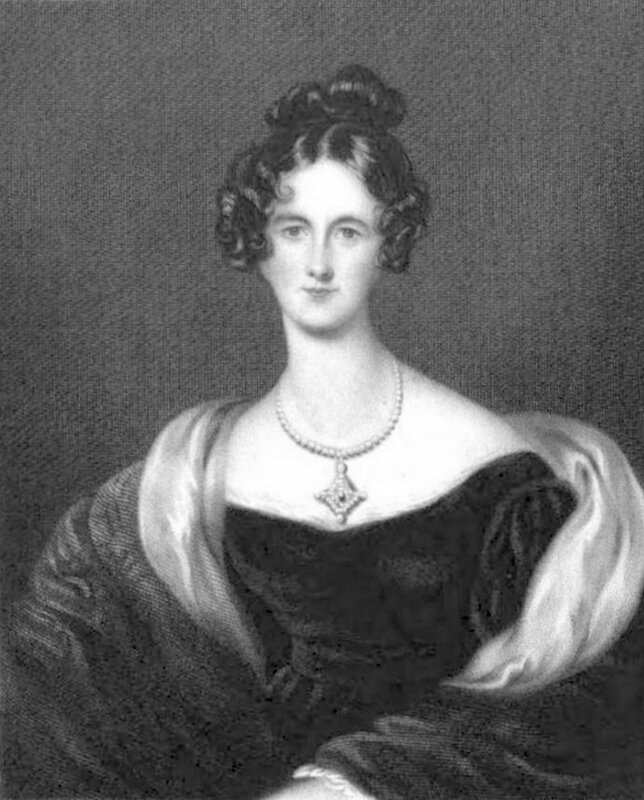 The guests started arriving at 9 pm and some stayed until 1 am although many left an hour earlier to attend the Countess of Clonmell’s ball in Portman Square. On 14 February, the ambassador recorded that the English called this Valentine’s Day and had a custom of sending anonymous letters and love poems to their sweethearts. He noted that elegant dandies also sent each other caricature drawings for fun. The Persian ambassador recorded some very frank opinions in his journal. He thought that Mrs Hope, who before her marriage had been the Irish beauty Louisa Beresford, was very beautiful, and that it was awful that she should have married Thomas Hope for his money when he was so very ugly. 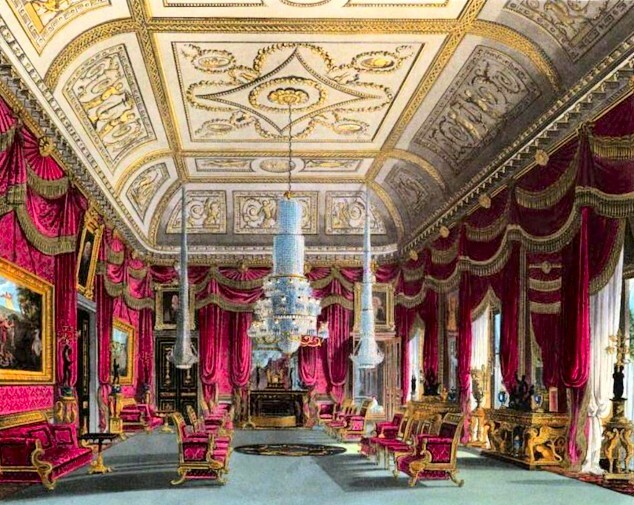 The Persian ambassador was in London when Sir Francis Burdett refused to be arrested in April 1810 and riots broke out as his supporters resisted his arrest. The ambassador was astonished that it took several days to obtain a warrant to arrest Sir Francis. He said that in Iran, more than 2,000 people would have been executed by then. (1) From The Times 21 December 1809, Times Digital Archive. (2) From The Times 18 January 1810, Times Digital Archive.